The other night I was feeling the need to make something, but I wasn't feeling the creative buzz. Like, at all. In times like that it always helps to just start DOING and then the ideas will start flowing. 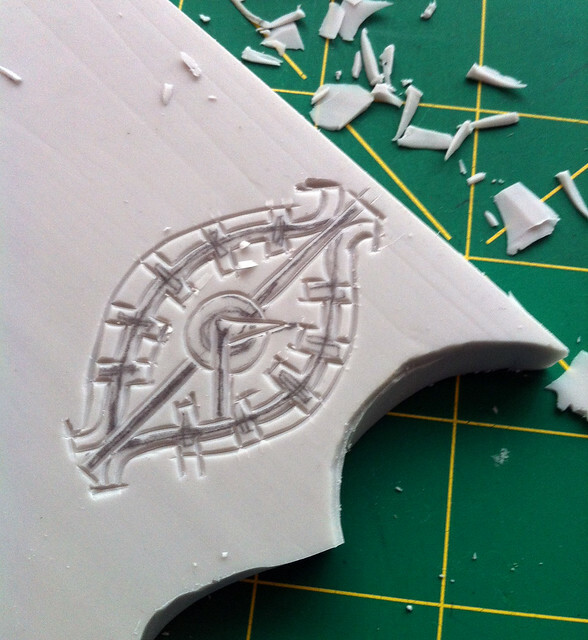 So I sat down with a brand new block of Moo Carve and my Speedball carving tool. Looking around my apartment for inspiration, I spied my George Nelson-style ball clock and thought it would make a great stamp! 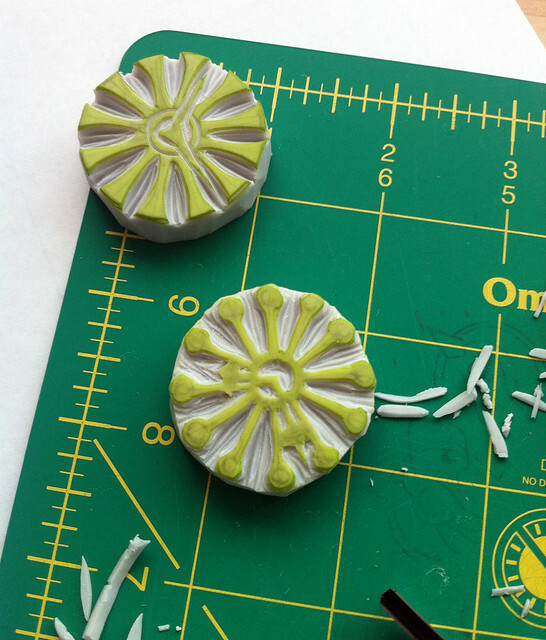 So I got to carving (check out my DIY stamp carving project post for detailed instructions). 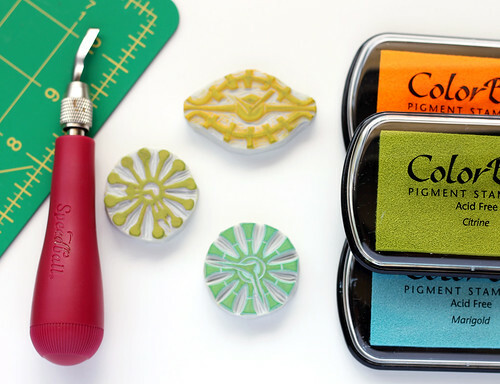 And what do you know, after I finished the first stamp I was inspired to make a few more. So long, creative slump! 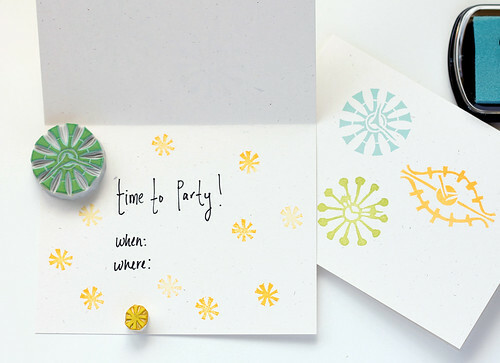 With my new collection of George Nelson-style clock stamps, I decided to make some cool party invitations. 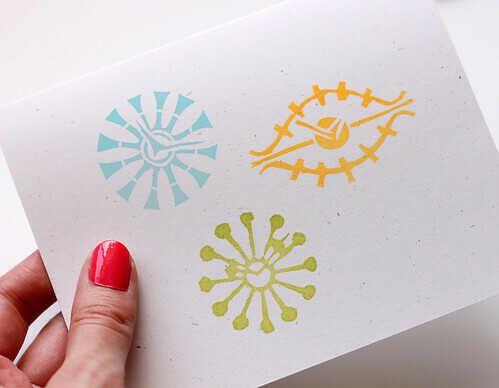 I stamped them up in bright colors on blank cardstock. 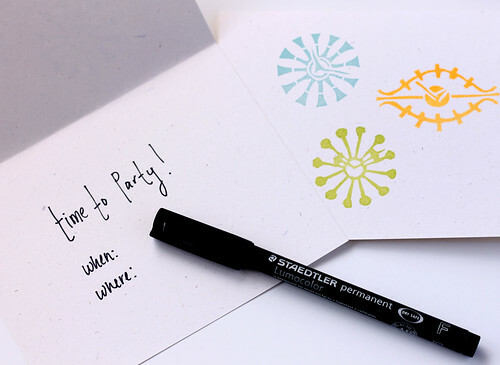 Then added the perfect sentiment, "Time to Party!" to the inside with a spot for the place and time. I accented the inside with another hand-carved star stamp. Perfect for a retro-themed summer soiree and so much fun to make. 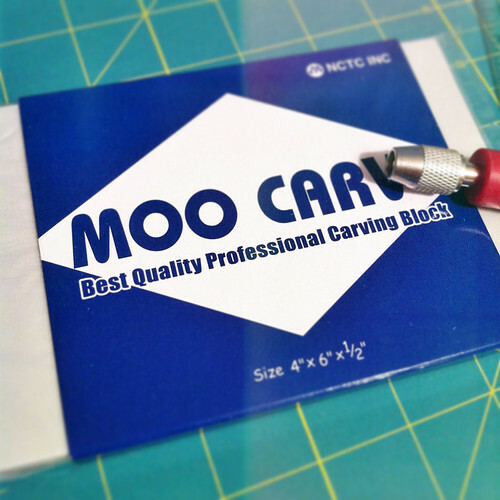 This was my first time using a Moo Carve block and I enjoyed it. It's got a nice weight to it and doesn't crumble. Give it a try and let me know what you think. And what a coincidence, Retro Renovation is featuring vintage clocks today! Take a look at their gallery for some clock inspiration of your own. I may have to pull out my supplies and carve a few more to my collection. Have a wonderful weekend! *Project and photos by Casey/Vitamini Handmade. All opinions my own. *Disclosure: This post contains affiliate links to products that I personally use and recommend. I may receive a small commission on the sale of a product linked to in this post. But don't worry, I'll never link to something that I don't love!